So, many have asked what I have been working on. 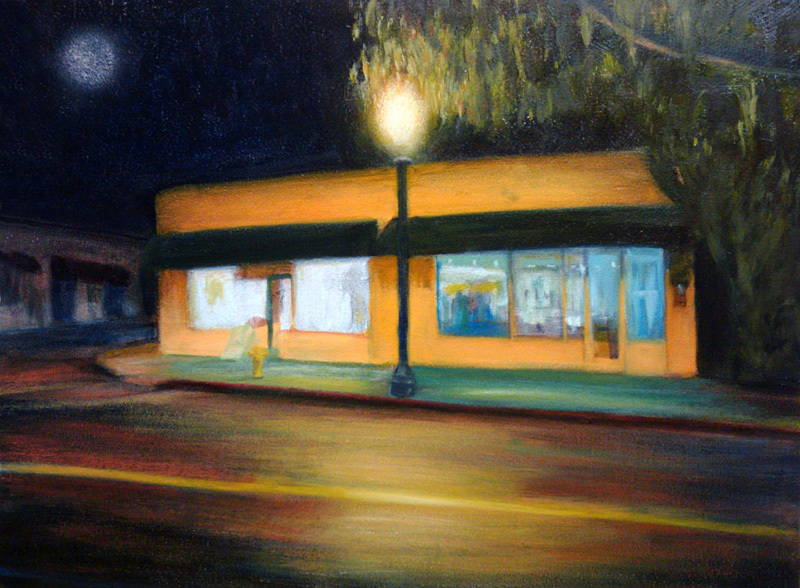 I started a commission painting of High Studio in Moorpark, CA … a portrait really … of the outside of the building. 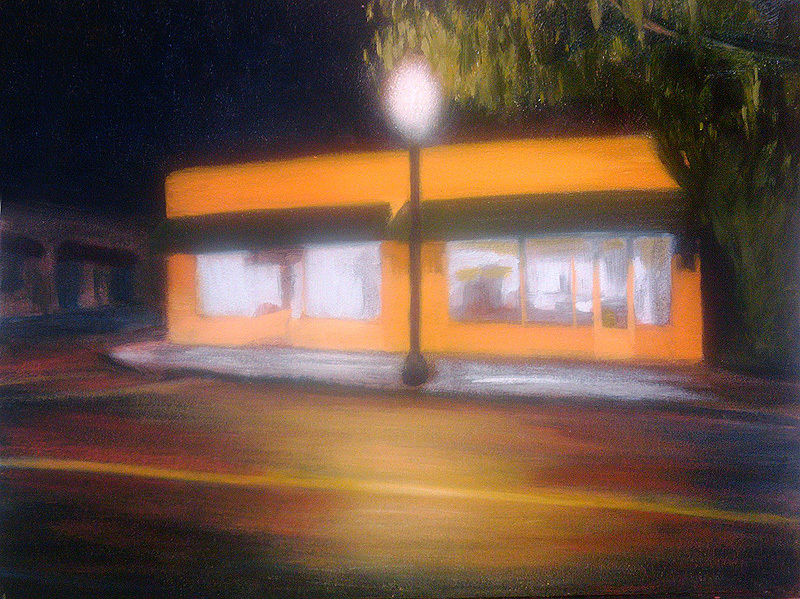 Its a night scene. Still to come, people enjoying art in the left half windows… and a whole lot of fussing around with the rest. 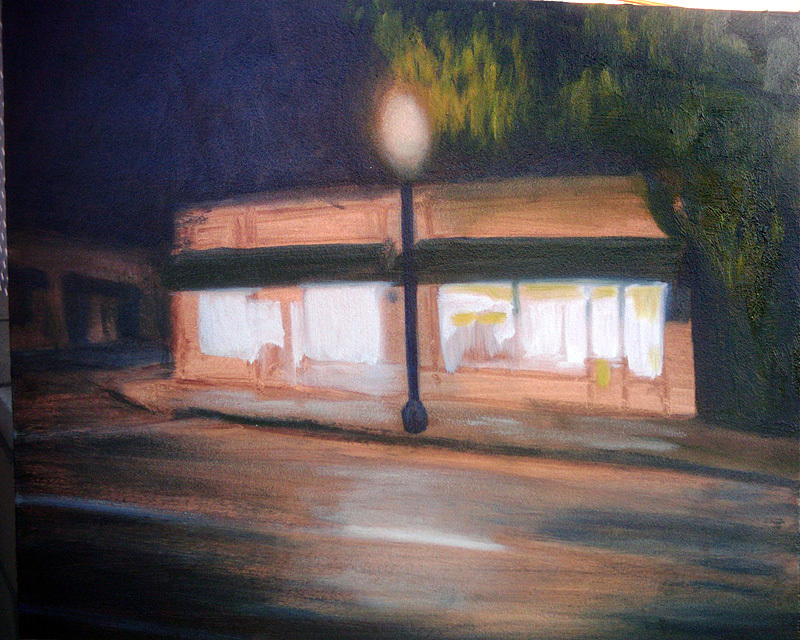 Click the first image to pop up full size, or scroll down to see the progress. 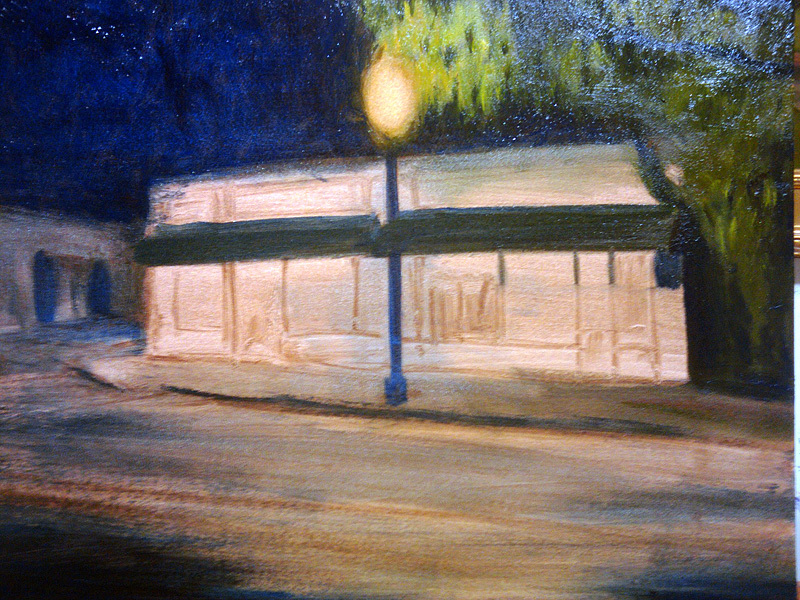 I love the way painting has different light sources and how the inside of the building is coming to life on the architecture side. reminds me of watching camarillo from a big hill at midnight. you “get” the night in these, if that makes sense.